Wow! Is it late October already? I have been busy working on my portfolio and designs for clients, I haven't had a chance to post a DIY project! 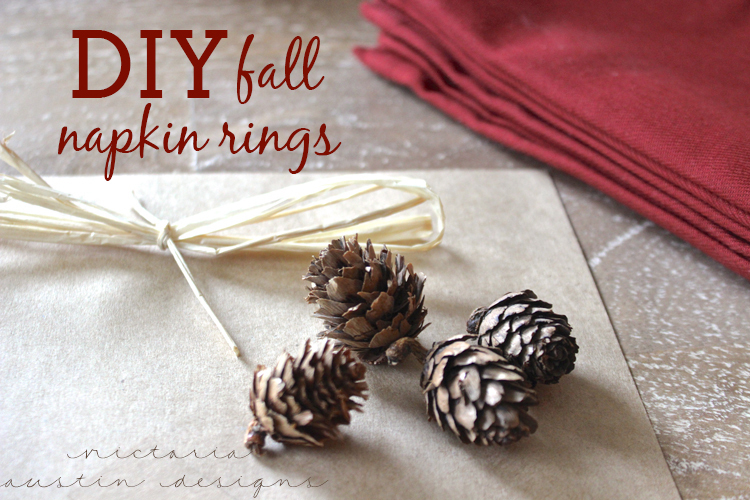 I enjoyed creating these DIY Fall Napkin Rings! 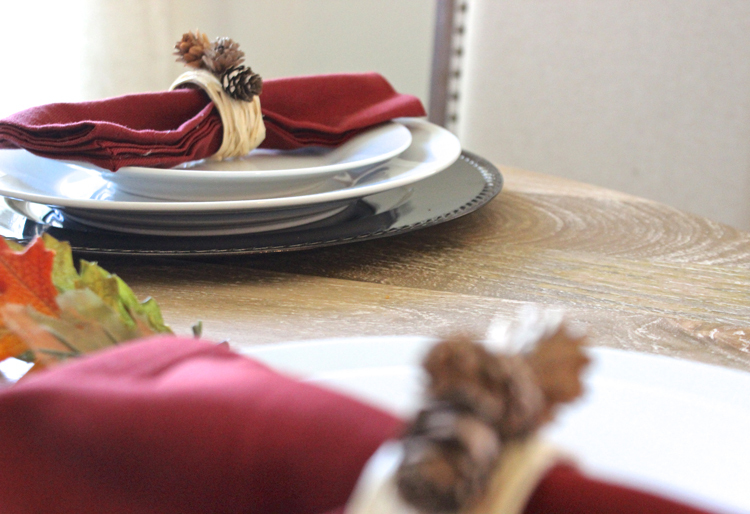 So easy to do, and can be redone for any holiday very inexpensively. 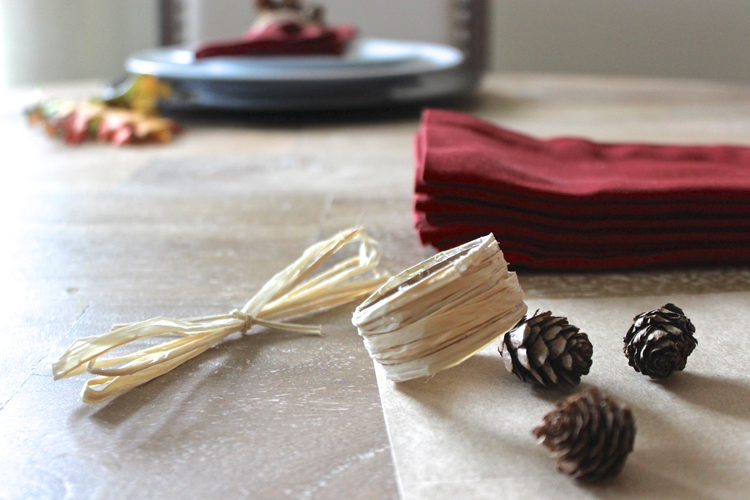 Great to add to a christmas gift if you are gifting beautiful napkins and/or cookbook. 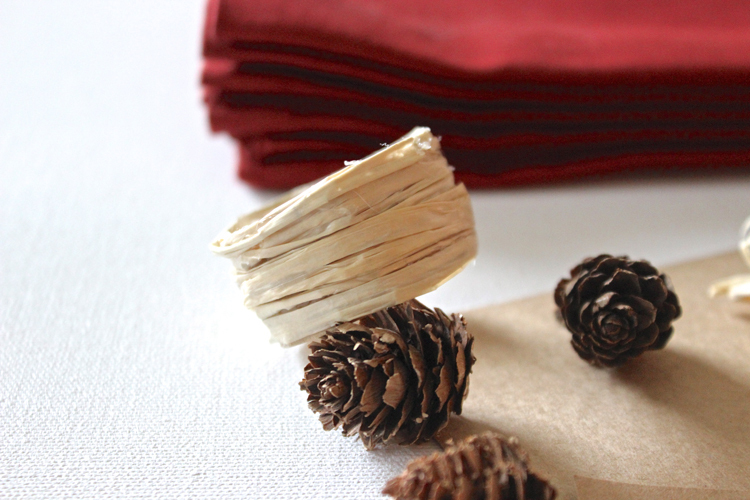 Simply glue your strip of paper (about 3.5inn long and an inch thick) to make a ring. 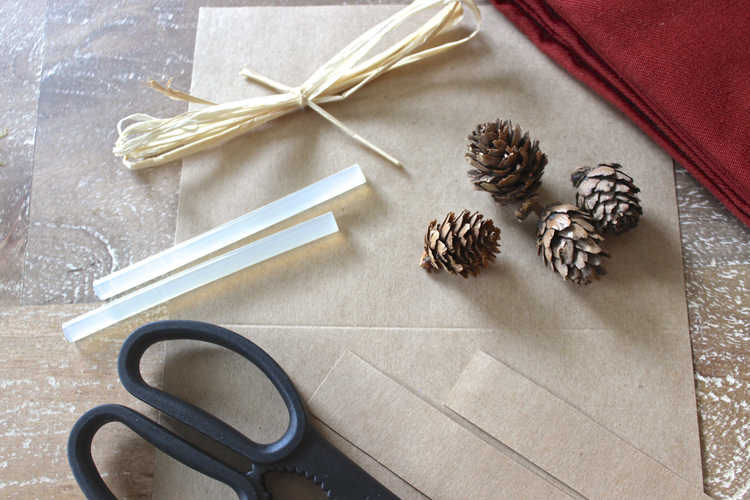 Wrap the raffia around the paper, hot gluing as you go, until you have full raffia coverage! I secured the raffia with extra glue. 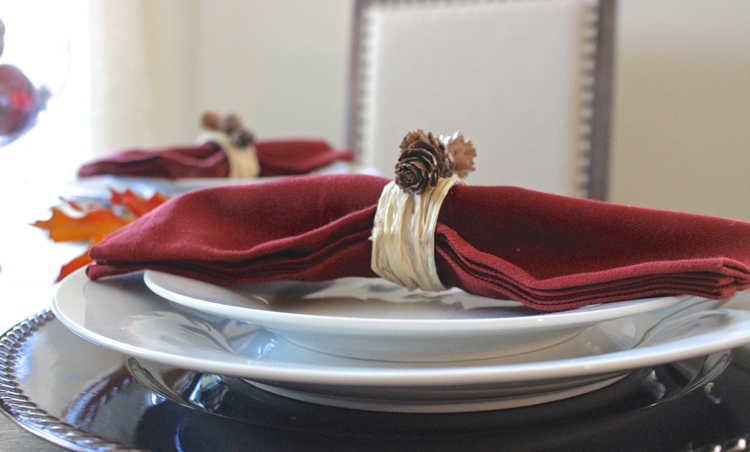 Then, I added my mini pinecone adornments ($9.99 for a large pack from Hobby Lobby, 40% off). All done! Hope you like this! Let me know if you have any questions by commenting below!